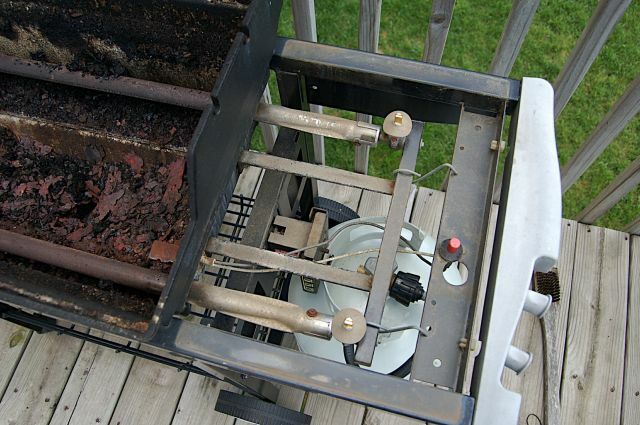 The Handyguys discuss fixing that old BBQ grill that no longer cooks as well as it should. 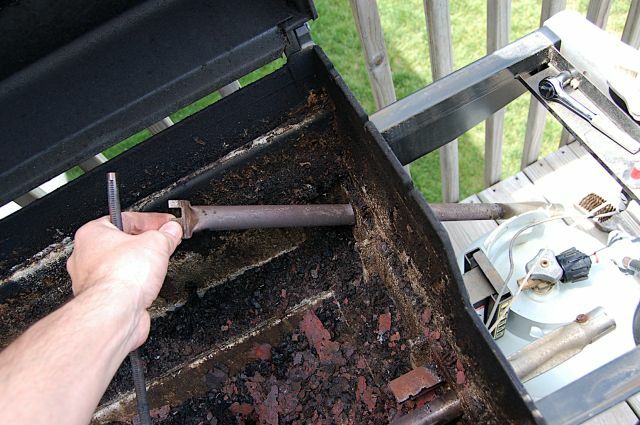 Does one side of your grill heat better then the other?Â Does it take a long time to cook your steaks on your outdoor grill?Â Don’t go out and buy a new grill… a couple new grill parts is all you need.Â The Handyguys discuss how you can fix up your grill and get it working like the day you brought it home. 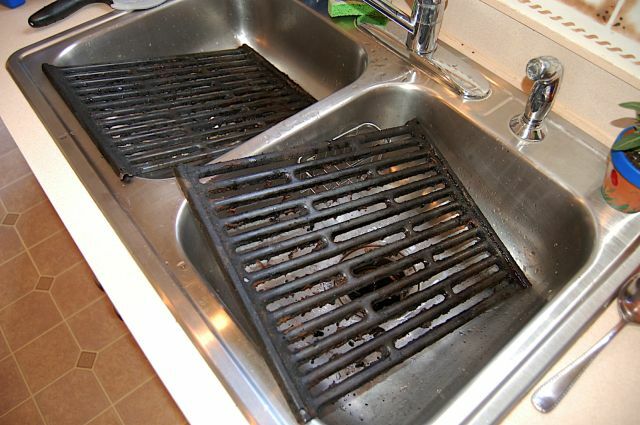 In addition, the handyguys discuss grill accessories such as this handy stainless steel grill set. 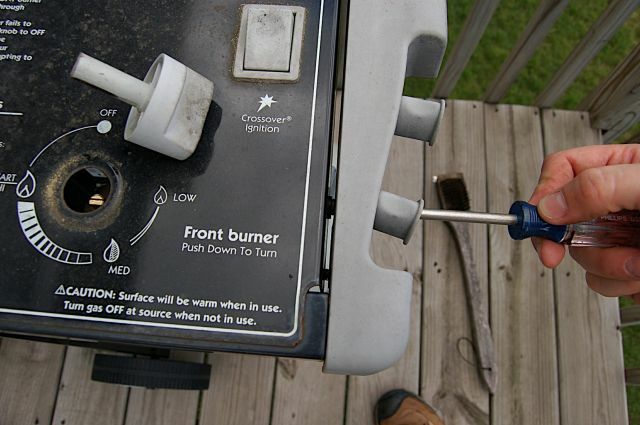 The Handyguys also provide some tips for purchasing a new grill. Listen to the show for their thoughts. 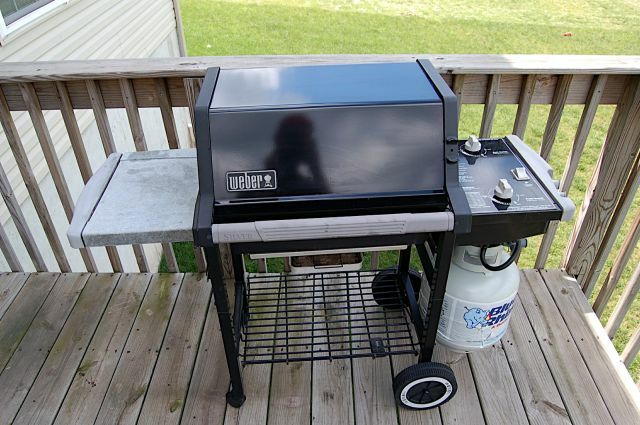 As for Paul’s busted down grill, he had good success getting his new burner from www.grillparts.com*.Â He liked the fact that they had a phone number with real humans that you could call for service or orders.Â This demonstrated their desire to ofter decent customer service. Check it out and if you do purchase from them, let them know that you heard about their store from this podcast (when I talked to them they had never heard of podcasts before). 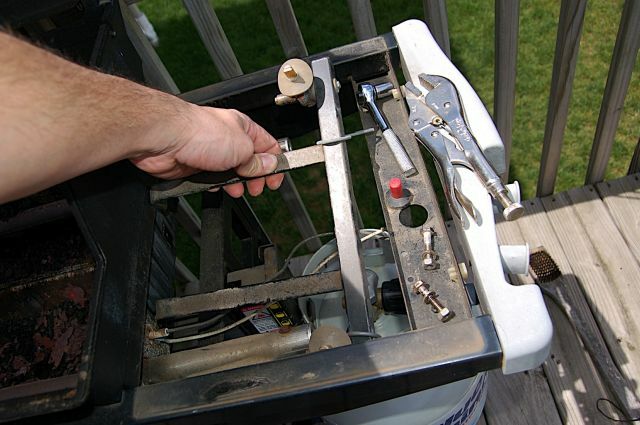 Here are some pictures of Paul replacing his burner with new parts.Â This job took less then 1 hour. You can click on the picture to see it full size. Essentially Handyguy Paul had three primary steps. 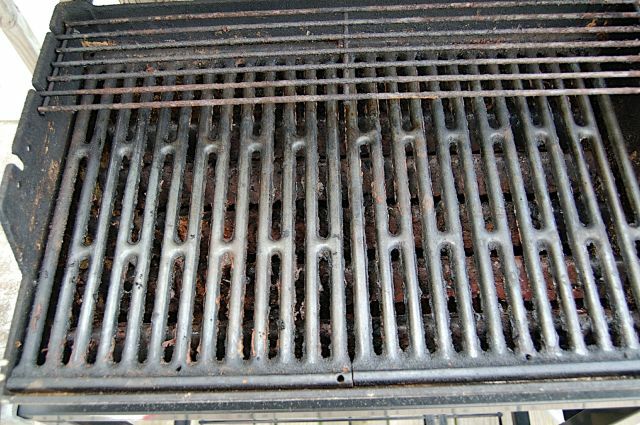 Your grill may be different. 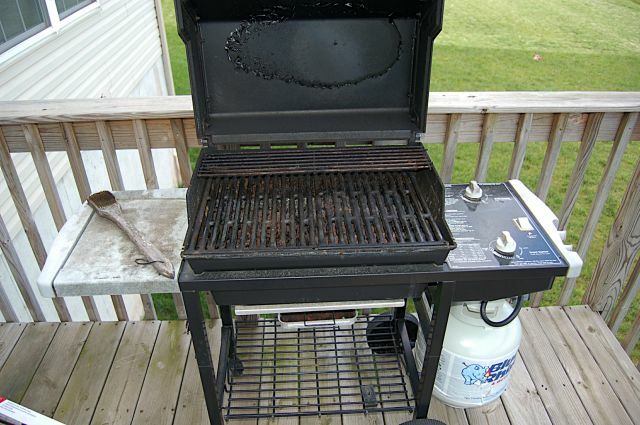 The grill now works as good as new. 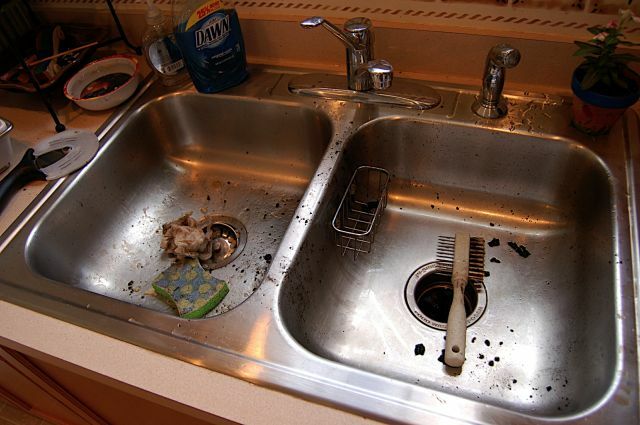 Last step is to clean the sink Paul. *This is a personal recommendation from Handyguy Paul and not a sponsored or paid referral. I was asked to restore my sons poor working charcoal grill. I took it apart and found that the gas tubes were stuffed with spider webs, that kept the gas from flowing thru to the burners. I bought a pack of 12 inch pipe cleaners in the craft dept at Wall Mart and pushed one thru the tubes and burners which pulled the spider webs back out. That is all it needed. It now makes the best tube steaks. 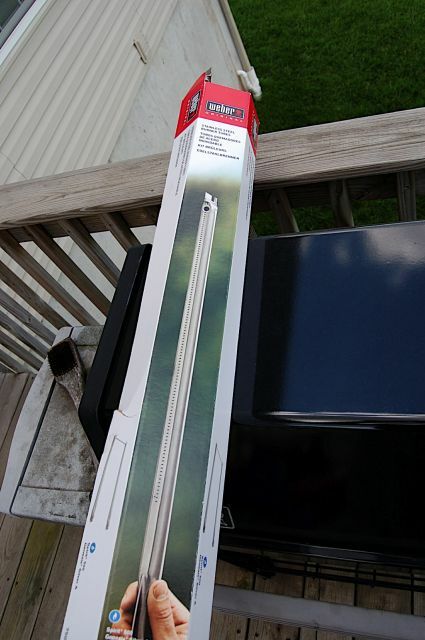 I have old grill thats been sitting in my backyard…I dont know whats wrong with it.It sudenly went out and I’ve bought new one.Do you know if i can recycle it? Yes – You will need to check the requirements of your local pickup service to see if they will take it. They may not. The legs are steel you may need to disassemble it and provide them the steel only. The body may be cast iron or steel or something else and they may not take that part. If your local recyclers don’t take it there may be a steel drop-off location that may even pay you a few cents per pound. This is a fantastic podcast. It’s really informative as to which parts are most commonly replaced, and how important OEM parts are. Great things to think about when considering buying a grill! Yup – It sux when you cant find the part needed to fix something! 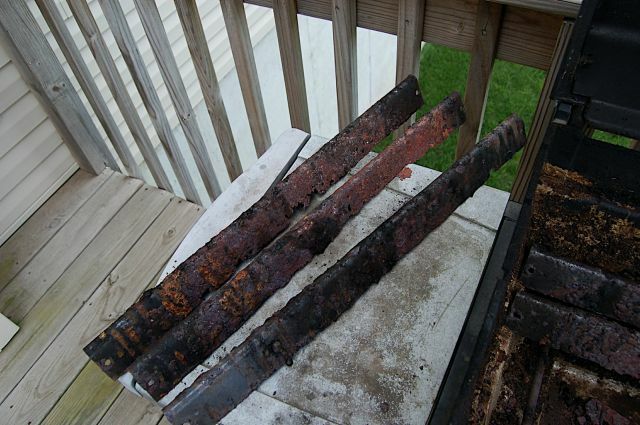 What’s the best way to fix/replace corroded bbq feet? Maybe try new, slightly larger screws.